Just getting a massage is not enough, getting the most out of this whole therapeutic session is what makes the difference. We normally opt for a massage to de-stress our minds and to have some relaxation. But normally when people step out of that dark, aromatic massage parlor, all those feelings of rejuvenation and bliss are gone. Why so? Simply because you don’t follow the most important steps required to continue that post-massage feeling. What to do and not to do after a massage? Learn all you should know. Here are the most essential steps to be followed after a massage session. Plenty of water intake, right after the massage and for the next couple of hours to days is a highly-recommended step. It helps rehydrating your tissues. The massage movement stimulates the lymphatic circulation system that collects all the toxins and unwanted materials resulted from massage. Here comes water to drain them away and also to save you from next-day soreness. Note: A buildup of these toxins causes aching and soring muscles after the massage. Prefer having some light food a couple of hours before and after the massage. But if you feel hungry after massage, don’t eat immediately, wait for a while and then opt for some light food. Some snacks, steamed or lightly fried vegetable with a cup of herbal tea are the most suitable options. Once you get back to home and feeling confused about what to do after a massage, a nice, warm and relaxing bath would be a pleasurable experience. 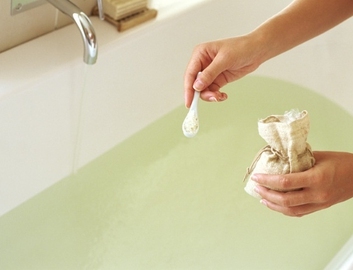 To avoid any pain or stiffness of muscles, adding Epsom salts (magnesium sulphate) in warm water is a great trick. It is beneficial for cleaning your body of all the toxins. However, even a simple warm bath (or shower) after massage would be good enough. 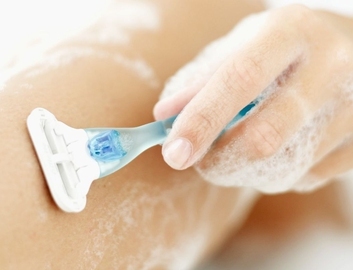 Just make sure it’s warm (not scorching hot) water, that feels soothing to skin. Note: Epsom salts (magnesium sulphate) is a muscle relaxer that comes with detoxifying effect. If you feel like having some rest after massage, that is great. Getting rest will help recovering and re-tuning your mind and body. Right after the massage, it is another good idea to go for a walk. It not only saves the muscles from tightening but it would also ease the body movement. 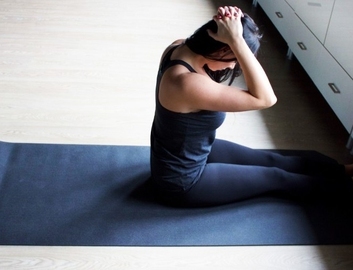 For more improved results, a little bit of stretching would open up your body. A really light form of exercise and stretches combinations, recommended by the massage therapists can be tried. Slow paced vinyasa flow yoga can also be practiced for stretching plus relaxation. Massage tends to de-stress our minds. In most of the cases, after massage, people feel a surge of emotions, of happiness or grief, which they have long been holding on to. If something like that happens, let it be. Feel like crying? Go ahead. Feel extremely happy? Sing and dance! Yes, that’s what to do after a massage. It will make you feel a lot better. Avoid any type of intense workout or any other strenuous activity including hiking or running. Drinks like tea, coffee, alcohol, caffeinated beverages or even a soft drink can cause dehydration (they are diuretics). So, you better avoid them. A big NO for heavy meals after a massage. They don’t energize you, rather you would feel more sluggish and bloated after eating it. Anything that may cause increase in the level of your blood pressure (that you have just brought down), should be avoided. Even loud rock music or stressful movies should be avoided. Anyone who has just been through a surgery, chemotherapy or radiation should avoid a massage session. Are you a patient of osteoporosis? Never opt for massage without consulting your physician. Pregnant women should not opt for it without doctor’s advice. If your body is prone to blood clotting, you may suffer dislodging of blood clots after a massage. So, you better not go for one. Heart patients should consult their doctors first. People with skin-related issues like open wounds, rash, bruises, burns, tumors, inflamed skin, muscle tears, sprained ligaments or recently-healed fractures should refrain from it. People with a body temperature over 100°F should leave the idea of a massage. Someone with herpes, lymphangitis, bacterial, fungal or viral infections should avoid it. It’s not for the patients of cancer or melanoma, Hemophilia. It’s not suitable for people with diseased blood vessels (varicose veins, phlebitis, thrombosis). Diabetic patients should be extra cautious before getting a massage. Just like exercise, it could raise your blood sugar level. So, you better take a detailed advice from your doctor, about having a massage and what to do after a massage.